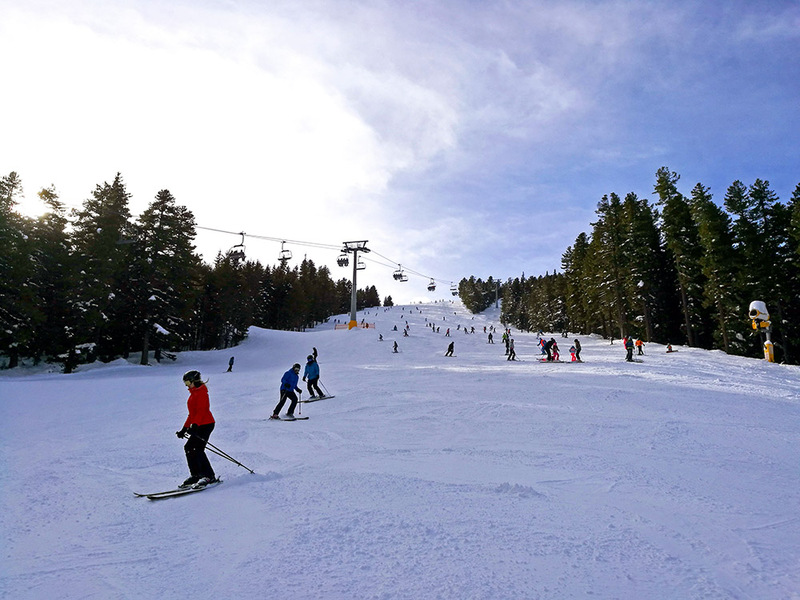 The ski season is in full swing here in Bansko as we head into the high season. January was great, with plenty of snow and quite a few good powder days. 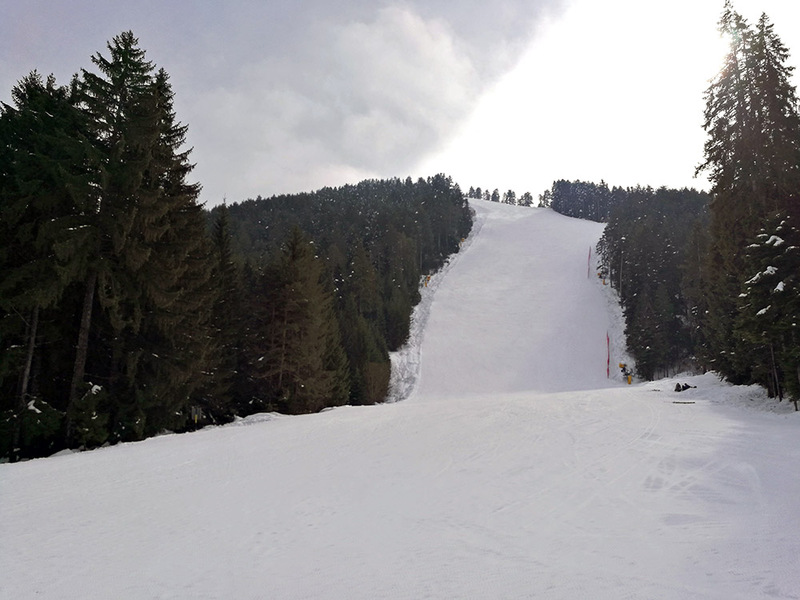 But now it’s time for the February mid-term holidays and within the next month, we are expecting many skiers and snowboarders from the UK and the Balkans to come to Bansko during their school holidays. The resort is starting to fill up and the gondola queue can already take over an hour. This month will also be the FIS Skiing World Cup between the 22nd and 24th. How to avoid the gondola queue. This last week the weather wasn’t much with us, but there was some small snowfall since last Sundays epic powder day. We’ve had strong winds on some days, closing the top of the mountain, and today was no exception. Up until last week, there were almost no queues in the mountain, apart from the gondola, but today was a different story. Lots of skiers and two closed lifts means bigger queues on the slopes, but they weren’t too bad. The wait for the 6-seat Todorka lift was only around 5-7 minutes, but for some other lifts, the line could last for 10 minutes and more. 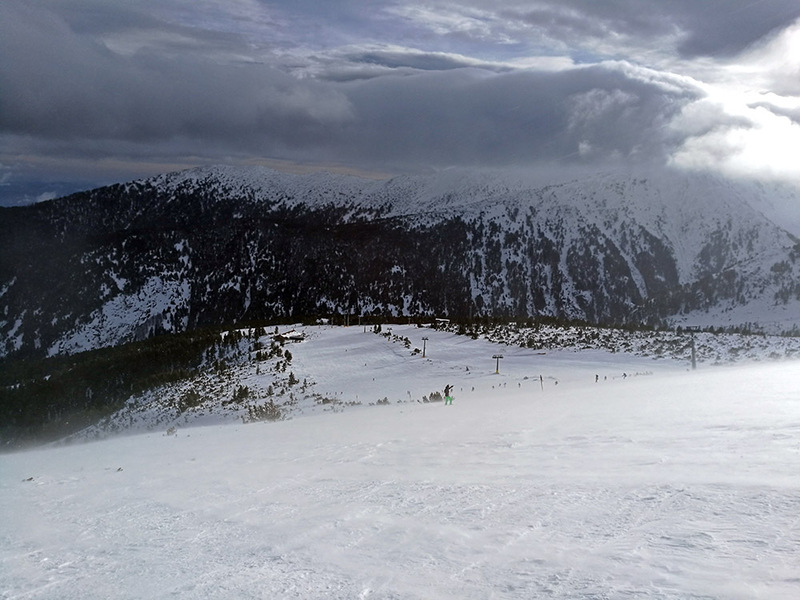 The least crowded lifts at around noon were the Shiligarnika and Bunderitza. If you want to make the most out of your ski day, the best strategy is to be very early at the gondola, around 7:30-8:00 AM, to ski the main ski zone till 1 PM, then to head down to the Chalin Valog ski area for some final runs before going home. Slope conditions were different this morning around the mountain. On the more open slopes, higher in the mountain and with no trees to the sides, the snow was windblown and hard on the western facing slopes. The most affected slopes were the Bunderitza and top of Balkaniada ski runs and you couldn’t tell that they had been groomed the previous evening. Slopes below the Bunderitza lift midway station, that are more in the forest were protected from the wind and thus in perfect condition in the morning. On windy days like today, where lifts aren’t working, you just have to accept that the slopes will be crowded and make the most of it. For experienced skiers, this isn’t such a problem, as the red Todorka and black Tomba runs weren’t crowded throughout most of the day. In Chalin Valog the slopes were very hardpacked in the morning, but by 11-12 o’clock they’ve softened up and are much better for skiing. 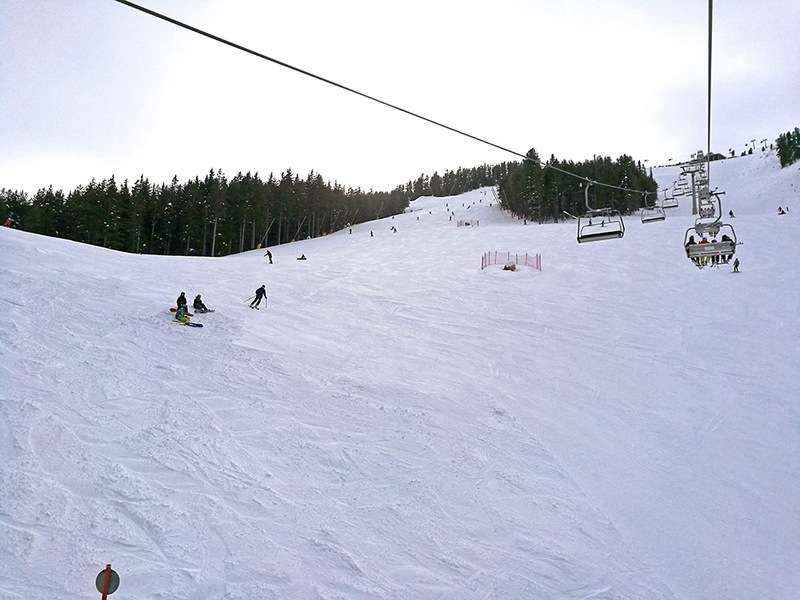 The slopes were also slightly slushier today than previously, due to the warmer weather. Conditions off-piste are still very bad, with a huge avalanche being triggered by a snowboarder close to the ski area. Thankfully this time the rider was able to move away from the slides trajectory and get away safe. There is still a persistent weak layer of snow near the base of the snowpack.